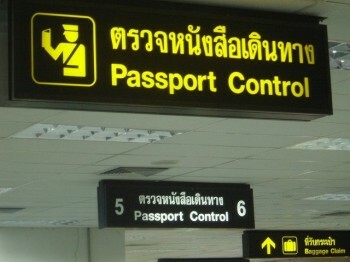 The Thai Immigration office is located in Rayong close to the Municipal Office in Rayong. 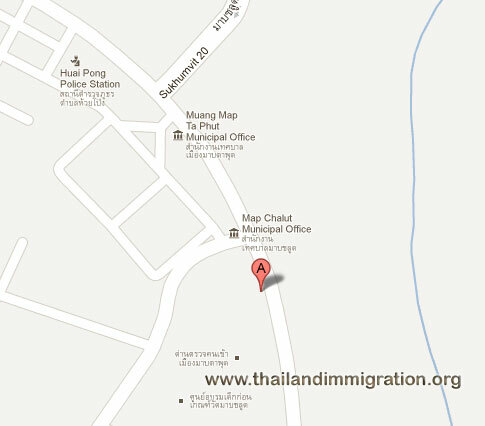 We have listed the contact details for the immigration office in Rayong below with a map and their contact details such as their telephone numbers, street address, a map to their offices and also a link to their website which is all in Thai. If you have any other questions such as a retirement visa or marriage visa then you can search this website for more details. Address : 5 Moo 5 Soi Sukhumvit 20, Sukhumvit Road, Huay Pong. (The nearby government buildings is Ta Phut municipality).